Like Vol. 1, Vol. 2 contains nine shadows: Caught in the Act Courtney, a dark chocolate brown with gold micro glitter (repeat from Vol 1. ); Feisty Felicia, a blackened purple with purple shimmer; Insane Jane, a shimmery taupe; Bossy Bobbi, a shimmery dark taupe; Makeout Mary, a shimmery light khaki; Just This Once Jane, a shimmery light purple; Mischievous Marissa, a shimmery copper; Tempting Tara, a frosty white; and Devilish Danielle, a light shimmery peach. 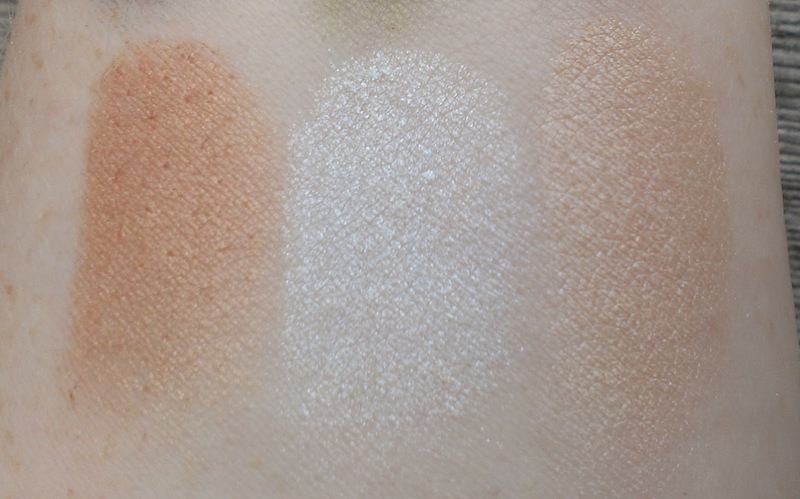 FYI - all of the swatches are without base or primer on bare skin. 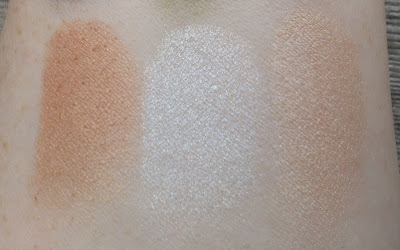 As with all of the Balm's shadows, the formula for these shadows is excellent. 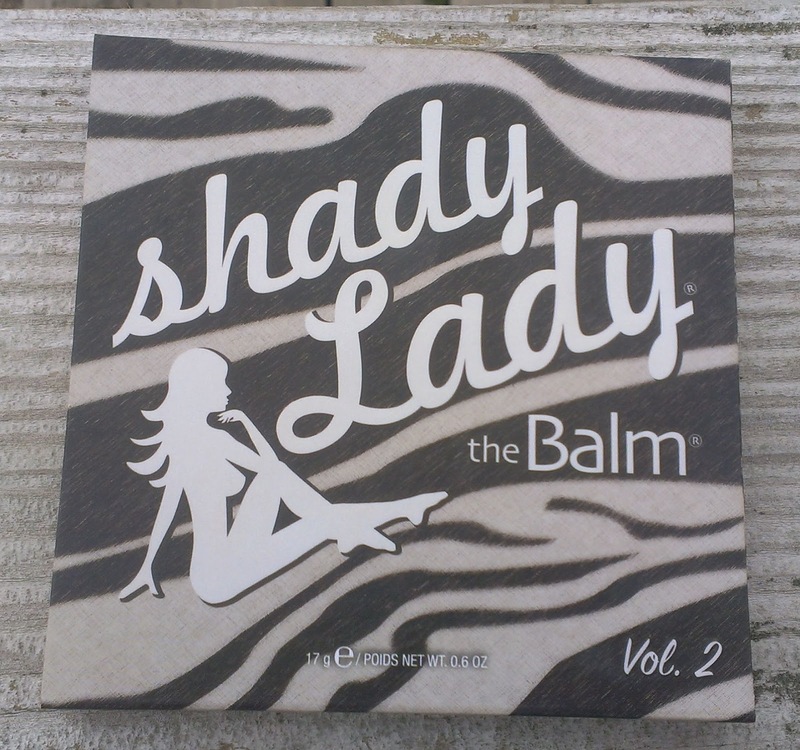 Shady Lady Vol. 2 is definitely my favorite of the three Shady Lady Palettes. 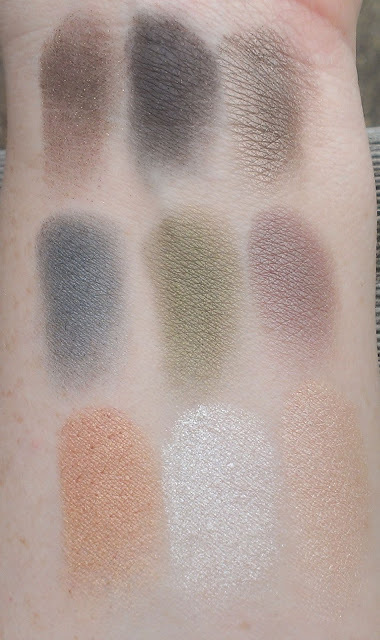 I feel like it's the most versatile because while it contains plenty of interesting colors, they're subdued, not in your face, so I feel like they would work for most skin tones and occasions. It's a favorite palette of mine for travel because I feel like I can put together both day and evening looks without much trouble. 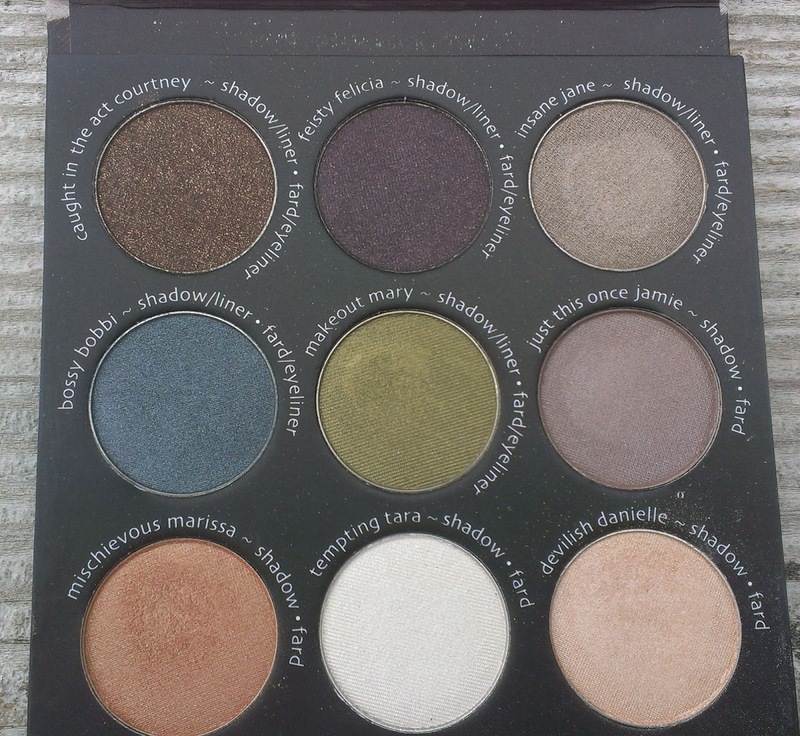 Of course, it may edge out the other two Shady Lady Palettes because of two colors on the ends of the bottom row - Mischievous Marrissa and Devilish Danielle. They're the kind of colors that you know I can't resist - peachy and coppery and just gorgeous. 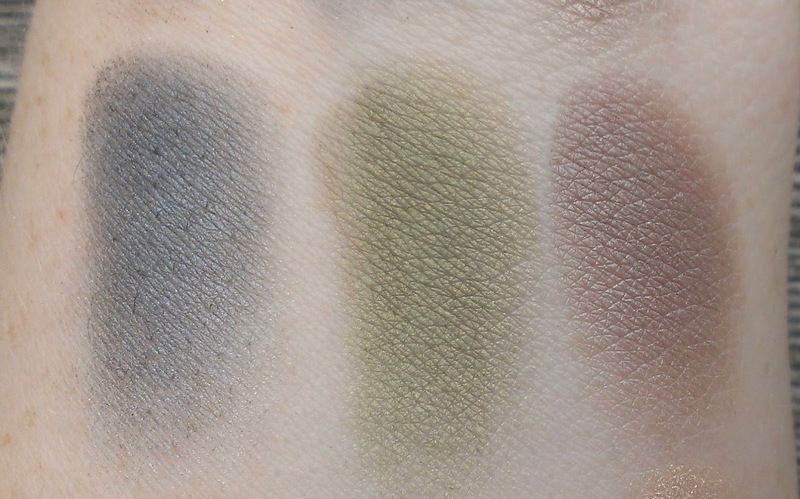 Definitely my two favorite shades in the palette. But I also love Insane Jane, Makeout Mary, and Just This Once Jamie. Bossy Bobbi can be really pretty too, particularly when used in the outer "v" or as a liner. The one disappointment in the palette is Feisty Felicia, which looks like a pretty purple in the pan but winds up more black with a hint of purple on the skin. 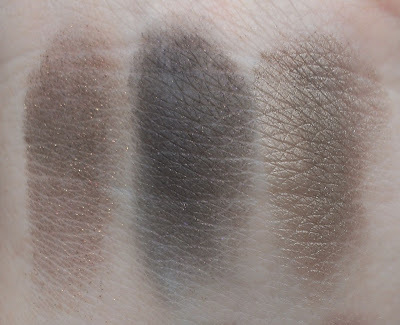 Still, I like it for darkening up the crease or outer "v" for evening looks. Caught in the Act Courtney is also a repeat from the first palette, but it's a basic brown shade so I feel like having two isn't the worst thing in the world. What is your favorite palette for traveling?